As one of the most elite canine training facilities in the United States, Cobra Canine is contacted often by those in search of Executive Protection and Personal Protection Canines. We have many military families, police families, executives and government officials who have high expectations from us and we have been successful in delivering for each of their specific and unique needs. There are many different breeds, but typically German Shepherds, Belgian Malinois, and Dutch Shepherds tend to be the most efficient for this type of work. In regards to those looking for a puppy for personal protection: It should be noted, that there are breeders out there that sell puppies as personal protection canines. You’ve probably seen several across the Internet. This is Not an ideal way to get your hands on a Personal Protection Canine. We would have to make the comparison of going into a hospital newborn nursery room, and looking at 10 babies and saying that one of those is going to be an Olympic Athlete…. Probably not a safe bet. It is difficult to select a puppy for personal protection work- without seeing it’s adult drives, personality, demeanor, defensiveness, hunt drive, prey drive, athleticism, etc. We typically recommend purchasing a canine who is no less than 10 months of age. Any canine we have for sale has already been rigorously tested and trained to meet the High Standards of a Personal Protection or Executive Protection Canine. 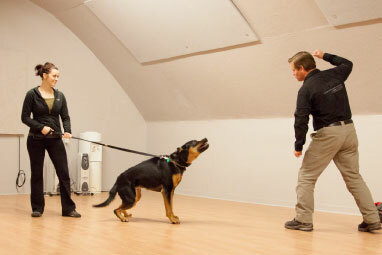 Cobra Canine is able to select and train canines for specific needs. Whether you are deploying and would like a canine to stay home to protect your family, whether you are concerned with crime in your area, in need of more privacy, simply need an alert dog, or looking to have your home or property monitored by a canine companion there are a myriad of options available. Call us to discuss your needs and we will help you match you, your lifestyle and specific needs to the Canine you have been dreaming about.